It seems a bit late, but the important thing is that TiVo keeps improving its “television services” offering. This time, TiVo is adding YouTube to its ever-expanding lineup. TiVo’s partnership with YouTube will deliver Web video directly to user’s televisions. The catch is to get YouTube content you must own the latest TiVo HD and TiVo Series3 models. “TiVo’s strategy is to bridge the gap between Web video and television and make as much content available as possible for our subscribers,” said Tara Maitra, vice president and general manager for content services at TiVo (New York Times). 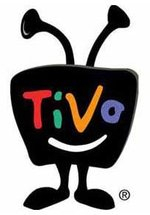 TiVo becomes the latest hardware company attempting to deliver Internet video content to living room televisions. The AppleTV has made YouTube video available for more than a year, along with the Netgear Digital Entertainer HD. Any product with full-function (Flash enabled) Web browsing, such as the Nintendo Wii and Sony PlayStation 3, also can play YouTube video. YouTube can be found on mobile devices like the iPhone, phones from Helio, and the Nokia N810 Internet Tablet. Some folks have complained that watching YouTube on a television just isn’t the same because it lacks the social component — sharing content with friends, embedding videos on blogs, emailing and instant messaging favorites. True. But having YouTube on your television also brings a dynamic that sort of but doesn’t really exist on the computer. Sometime later this year — TiVo did not say when — high-end TiVo users can subscribe to YouTube channels, which they can also do on the computer. The computer, however, doesn’t compete directly with the television for quality viewing time. TiVo users will be able to watch YouTube channels just as they do network or cable TV, not that they’d want to, but it’s another viewing option. This announcement, while certainly headline grabbing, effects almost no customers. It’s a case of TiVo trying to stave off irrelevancy.